With its namesake label headquarters in Paris since 1991, the red sole has become Christian Louboutin’s trademark worldwide. Louboutin’s career was anything but traditional. Instead of a solid profession or diligent fashion studies, the designer spent his nights as a party-goer in the wild Paris of the 1970s. After minor roles in almost forgotten cult movies, he finally learned the basics of drawing at the Académie d'Art Roederer, and thus laid the foundation for his later success as a shoe designer. After trips to Egypt and India, he introduced his first portfolio as a freelance shoe designer in the 1980s and won clients such as Yves Saint Laurent and Chanel, before launching his own brand in 1991. The inspiration for this was a warning sign at a museum, where women were forbidden to enter certain rooms with stilettos as these might damage the expensive flooring. Classic high heels with twelve centimeter stilettos are still forming the core of the collection - but today the Louboutin world also consists of: flat shoes, sneakers and boots, a complete men's collection, a beauty collection of nail polishes and lipsticks, bags and luggage, as well as leather goods. The bright red, the distinctive stiletto shape and rocking studs mark many of his products. 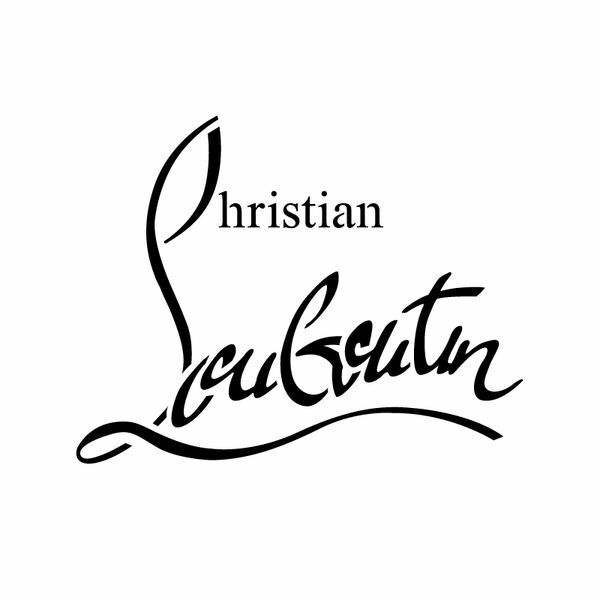 The red leather sole however will remain Louboutin’s most famous trademark. It is protected by copyright in many countries, and has led to various disputes in the past.